In this spring’s writer’s bundle on Story Bundle, we put in a $50 lecture if you get the bundle. 13 writing books and one lecture for $15.00. Tough to beat. So right now there are two great bundles going. The Space Opera will be available for only one more day! The Write Stuff 2019 bundle just got started. Here are two pictures and then below that the blog Kris wrote for the writing bundle. This spring’s writing bundle has three themes: Finding Time to Write (no matter what your life’s circumstances are), Growing As An Artist, and Practical Business Advice. Well, we actually have a lecture from the WMG Publishing Lecture Series (and narrated by popular author Dean Wesley Smith) on how to make time for writing. Dean’s a master at that. He can make more out of five minutes than any writer I know. We live together (um, we’re married), and I watch him work. I marveled at it, because I suffer from a series of chronic illnesses that make it hard for me to physically get to the keyboard. I’ve learned incredible coping mechanisms, and I share them in my brand-new book, Writing With Chronic Illness. There’s a lot of productivity and writing advice from Laura Anne Gilman in her Practical Meerkat’s 52 Bits of Useful Info…., as well as in Mindy Klasky’s The Rational Writer A-Z. But sometimes we writers skate along, doing what we’ve done before. Sure, we’re fast, and sure, we know how to work, but what about being effective? Or trying something new? Leah Cutter expanded her wonderful Business For Breakfast series to include this book, Growing As A Professional Artist. Expanding horizons is—or should be—what writing is all about, and Leah addresses that. Most of the books I put in a writing StoryBundle are about writing fiction (or at least, come from writing fiction as in my Chronic Illness book). But Joanna Penn’s How To Write Non-Fiction is a case study in how-to write nonfiction and how to branch out into a different genre of writing. Once you’ve finished writing, however, you need to do something with what you’ve written. Figuring out what you want to do is part of Tonya Price’s Money-Making Business Models For Writers because, as Tonya shows you, there’s more than one way to run a writing business. Part of running that business is marketing. And marketing as a publisher is different than the marketing a traditional publisher asks writers to do. So Blaze Ward decided to clarify what kind of marketing works best in Marketing For The Beginning Publisher. Combine that with Killing It On Kobo by the founder of Kobo Writing Life, Mark Leslie, and you have a heck of a short course in book marketing. 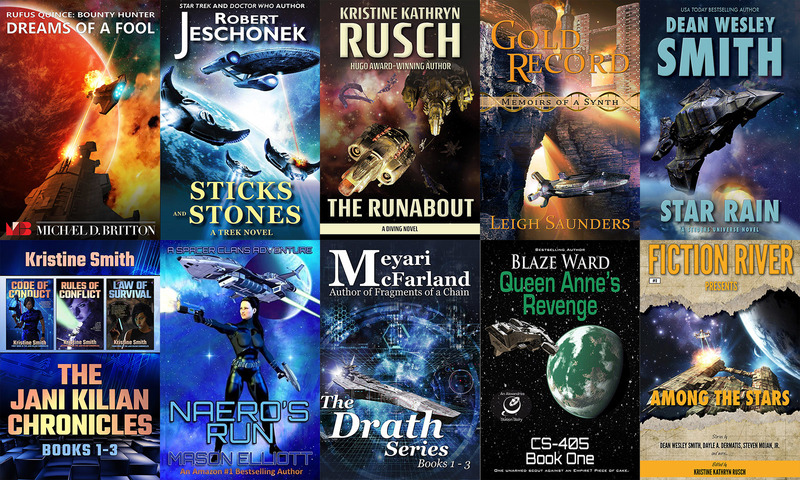 Clearly, I recommend buying all ten products in this StoryBundle. The lecture alone would cost you $50 if you bought it outside of the bundle. But you can get lecture and nine ebooks for $15. Or really, thirteen ebooks, because the Million Dollar Writing Series Boxed Set bundles four books together all by itself. You’ll get a lot of good advice here and a lot of inspiration—enough to keep you writing through the summer and beyond. In addition, we’re going to try to improve the quality of life for people we’ve never even met. If you feel so inclined, you can give a portion of your fee to our charity, AbleGamers. AbleGamers makes it possible for people with disabilities to participate in the world of online gaming, by providing everything from equipment personalized for each person’s needs to advice to the game developers on how to make their entertainment accessible. Online gaming isn’t just about relaxation and fun. It also provides support and a large community for players, and is especially important to people who are house- or bedbound. So, please, give a few dollars to AbleGamers as you pick up all of this knowledge for yourself.